If you like the outdoors, Maui, Hawaii, is a premium destination. With gorgeous landscapes and pristine beaches, it’s a dream come true for any adventurer. Just picture yourself hiking along lush jungle trails on your way to a stunning waterfall! Don’t let the fun stop at the jaw-dropping view, though. Go for a swim! There are a multitude of Maui waterfalls you can swim in, and we’ve gathered information on three of the best. Read on to learn more and start planning your trip today! Experience the best Maui waterfalls you can swim in and bring your camera along! Maui Island has so much to discover, and we don’t want you to miss any of it. Download our free Vacation Guide to get recommendations that will help you navigate the area like a local. 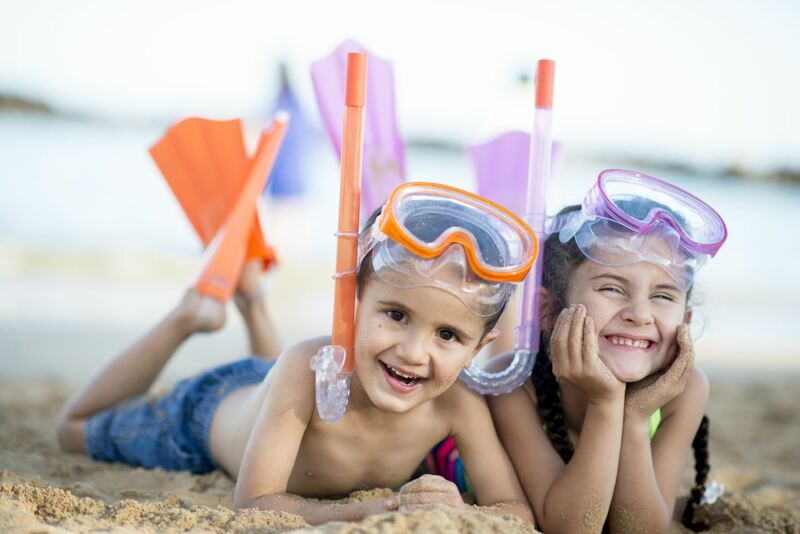 From outdoor activities and fun events to gourmet restaurants and one-of-a-kind shops, we’ll tell you everything you need to know to spend for a magical vacation! The Seven Sacred Pools, also known as the ‘Ohe’o Gulch, is a wonderful spot to explore. Located at the heart of Maui’s Haleakala National Park, the Seven Sacred Pools are a series of waterfalls that are truly magical. Hike on the 2-mile Pipiwai Trail and witness a breathtaking bamboo jungle and dramatic cliffs. Then, bathe in the two lower pools and find a nice spot to share a picnic with your loved ones! Tip: Obey the signs and avoid swimming if you don’t see any other swimmers in the water! Located near mile marker 12 on the Road to Hana, Upper Puohokamoa Falls is a real gem worth a stop. The falls are just two minutes from the road, so you can take a break from your road trip and go for a nice swim. If you have more time and are feeling adventurous, make your way up the left side of the falls and hike to some other hidden pools. If you visit during the high season, you will even see gorgeous ginger blooms! If you are on a quest to discover the most stunning places on the island of Maui, then Waikamoi Stream should be on your list! The scenery is out of this world, with black rock walls covered in exotic plants. Also located on the Road to Hana, Waikamoi Stream is a popular spot you don’t want to miss. It’s the second largest waterfall pool and pool on the island! You can easily find this heavenly place near marker 10. Swim to the cave or sit on the rocks right under the waterfall and let the stream fall over you! Have a blast swimming in the most beautiful Maui waterfalls and come home to a comfortable PMI Maui rental! Our luxurious properties will make your trip to Hawaii unforgettable. Find your home away from home and experience the best vacation of your life! 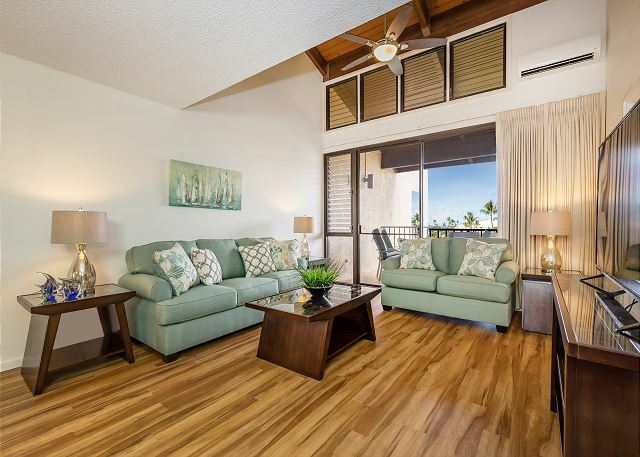 Book our Kamaole Sands 7-207 unit for your next adventure! 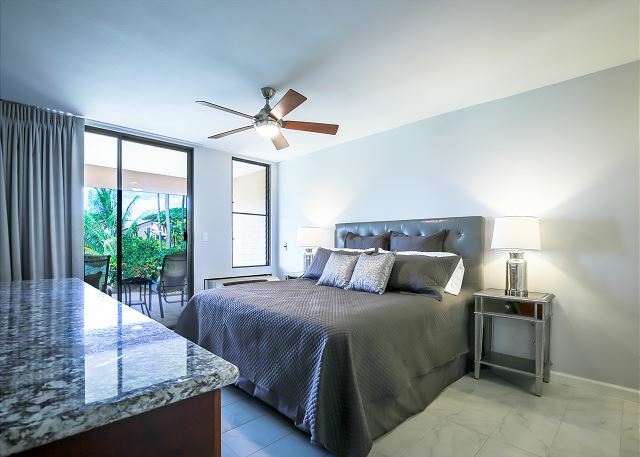 This one-bedroom, two-bathroom condo is perfect for couples who need a romantic getaway. 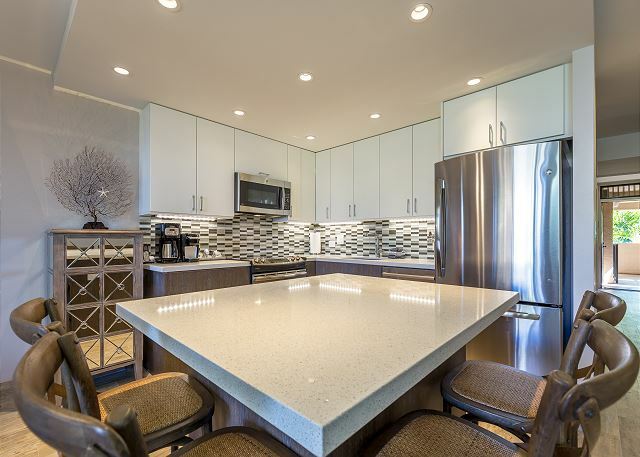 With modern equipment, elegant amenities, and an ideal location within walking distance of the beach, this condo is what you have been looking for! 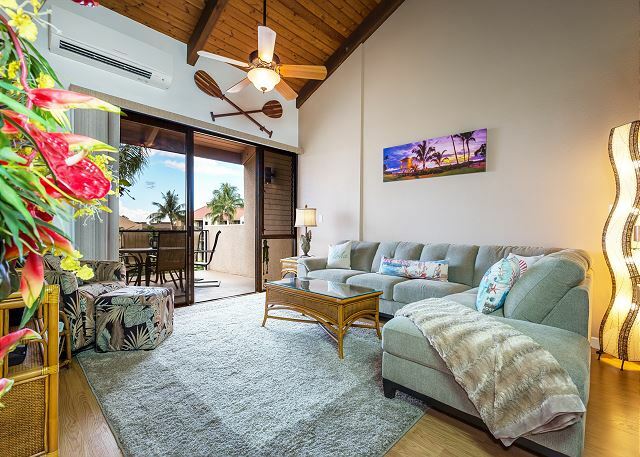 You can relax on the large lanai with a glass of iced tea, gaze at the gorgeous garden, unwind in the hot tub, and even hit some balls on the tennis court! Book your stay today with PMI Maui! We look forward to hosting you during your next vacation.